My K40 had poor mirror alignment out of the box however even after calibration it still did not cut well. The plywood kept flaming up when power was turned up and did not cut all the way when power was turned down. There was a lot of smoke interfering with the beam as well. So having heard of air assist helping this model I added my own with a mini fan super glued to the carriage of the laser with air blowing towards the surface of material being cut and wired into the LED strip. It’s a 12v dc brushless fan. 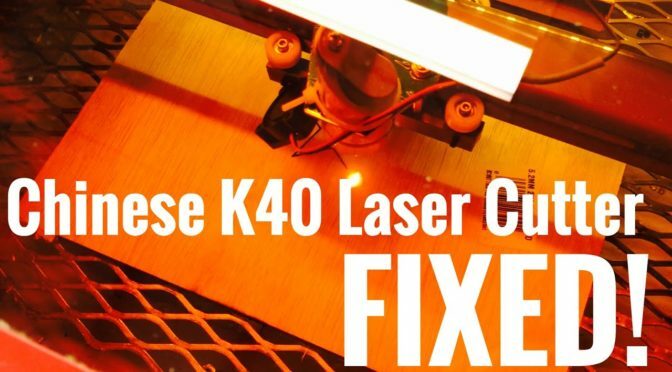 The laser is good enough for my projects.